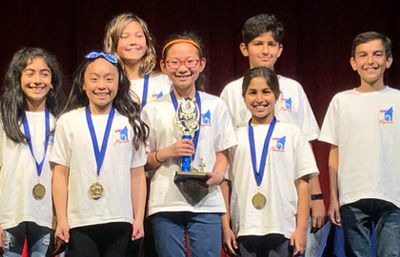 The Pegasus Battle of the Books team, BOBmuda Triangle, earned the championship title at the Interscholastic Battle of the Books competition, held on March 26 at St. John's Lutheran School in Orange. The BOBarians team placed fifth after tying for the last spot in the final round and then losing the tie breaker. The tiebreaker was won by St. Paul's School, a new team, which placed fourth. Pegasus fourth grader, Lucas W., joined the St. Paul team because the team initially did not have enough players to participate in the tournament. 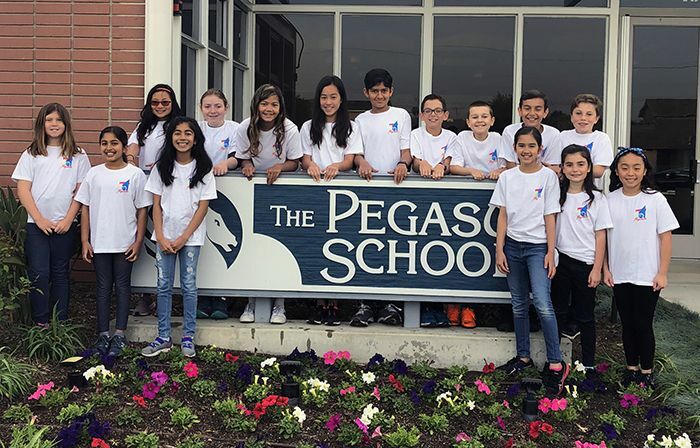 Lucas represented Pegasusl extremely well, displaying lots of leadership and character! Overall, there were 72 students representing eight schools (12 teams total) at the BOB Tournament. Great job to all Pegasus BOB participants! Thank you to all volunteers who helped our avid readers prepare for the competition, and to Mrs. Meister and Ms. Pellam for coordinating all BOB activities.